10 Best Ted Talks on Building Workplace Gratitude | gThankYou! In her TEDx Talk, “A Love Story,” she says her husband used gratitude to transform her life. By appreciating the things she did, he taught her to think positively about herself and to look for good in the world rather than complaining and criticizing. Her husband was grateful for the smallest things which overtime changed her negative thinking. And happy people work harder! In his TED Talk, “The Happy Secret to Better Work,“ former Harvard professor Shawn Achor says happiness improves every aspect of business. You and your employees can train your brains to look for positivity and happiness by, among other things, writing down three things you’re grateful for everyday for 30 days. TED (Technology, Entertainment, Design) is a nonprofit devoted to spreading ideas, usually in the form of short, powerful talks (18 minutes or less). One of those ideas is extolling workplace gratitude. Here are eight more of the best talks related to workplace gratitude that we’ve found. 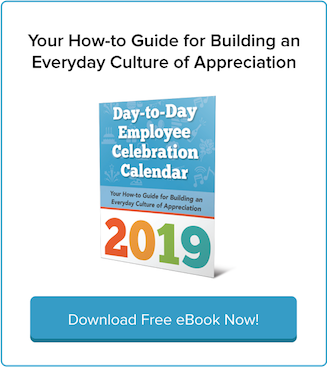 Give one or more a listen—these experts have studied the topic and give you not only concepts and scientific evidence, but hands-on ways to build a culture of workplace gratitude. Some of these videos focus on gratitude generally while others are specific to workplace gratitude, happiness, and engagement. All provide useful advice about fostering gratitude and happiness—which, in the workplace, spell productivity and a better bottom line. Monk and interfaith scholar Brother David Steindl-Rast says everyone wants to be happy, and happiness comes from gratitude. Counselor and life coach Dr. Laura Trice reflects on the power of a thank you to deepen relationships, repair bonds, and ensure people know what they mean to you. Happiness researcher Robert Biswas-Diener observes that one reason people are unhappy is that they project happiness on goals they haven’t yet achieved. But by remembering past happy moments, you can recreate happy moments and you’ll experience them again. Mike Robbins, former professional baseball player and author of Focus on the Good Stuff and Be Yourself, Everyone Else is Already Taken, says studies show employees who are appreciated for who they are—not what they do—are 43% more effective on the job. Jennifer Moss, co-founder of Plasticity, enterprise software for culture performance, notes that happiness is a choice. The way we look at and feel about things affects our happiness, and we can train ourselves (and employees) to feel positively about things. Dr. Kerry Howells, an educator of teachers, believes the way to create full engagement—an awake state—is to develop an attitude of gratitude. When we appreciate what we have, we’re more engaged. Behavioral economist Dan Ariely says that what motivates us to work is making constant progress and feeling a sense of purpose—not money or even joy. 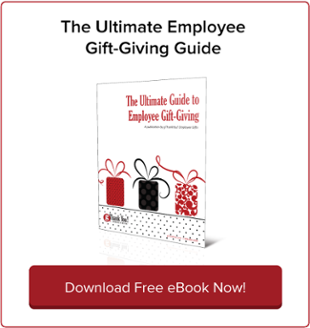 If you show your employees your gratitude for their efforts, they’ll feel valued and motivated. But it’s all too easy to crush motivation through lack of workplace gratitude. Psychologist Kelly McGonigal cites new research suggesting that stress may only be bad for you if you believe it is. She urges viewing stress as a positive, and says that caring for and supporting others reduces stress and improves heart health. It’s a great reason to show appreciation and workplace gratitude. Here’s a bonus link. For all-around leadership enhancement, try this list of “The Best TED Talks For Leaders,” compiled by content marketer Rob Wormley. One of the best and most effective ways to become a better leader is by learning from others who’ve come before you, he writes. These videos–The Best TED Talks For Leaders—give you inspiration, motivation, or actionable advice on being a better leader for your company, your employees, and yourself. Looking for more creative workplace gratitude inspiration? 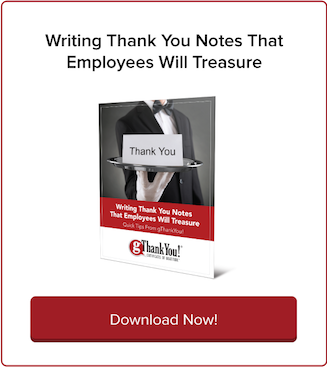 Read our previous posts on gratitude case studies, and for an in-depth guide to Transforming Your Workplace with Gratitude, click below to download our FREE eBook and start today! 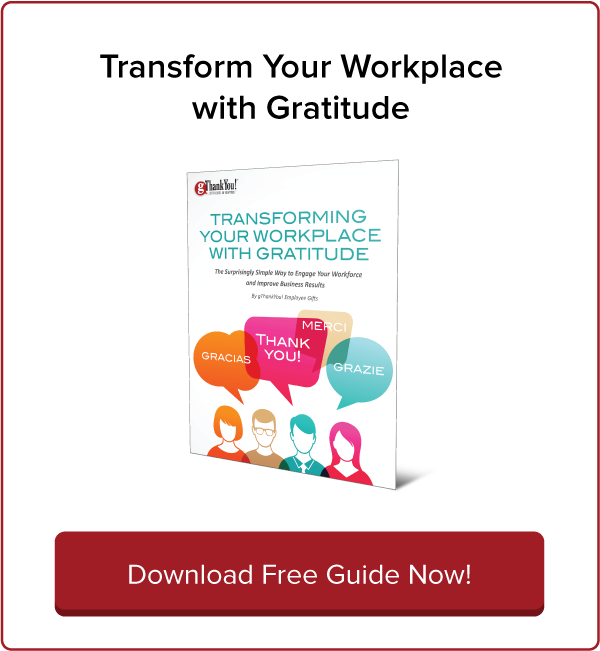 Want A Culture of Workplace Gratitude? Stop Multitasking.